Live like Moorish monarchy. Photo courtesy of Casa Monica. You've weathered the nine-to-five workflow and migrated home to the Sunshine State for the holidays. 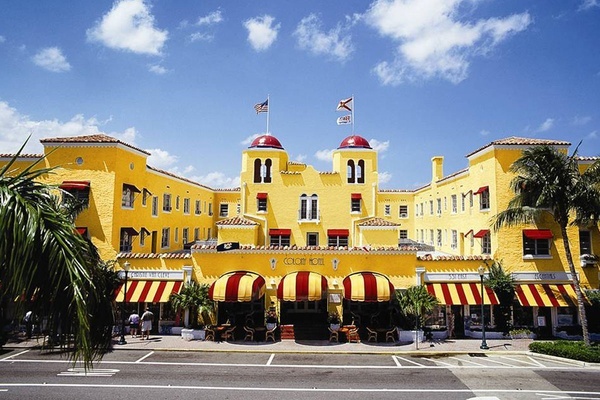 Whether you're staying with nana or spending your bonus in South Beach, these short itineraries will help make the most of time off in Florida. FLORIDA – With white-sand beaches, wildlife reserves, and unrivaled watersports, the game plan for winter birds is wonderfully simple — stay active, sunbathe often, and say yes to that third margarita. Hit the streets: There's nothing but glorious art, indie boutiques, and cool bars in , like , a concept store with indie South American designers; , a locally sourced paper goods and south Florida-style stationary; and , a Mexican crafts and clothing shop. For food, rocks a reasonably priced tasting menu with herbs from the chef's outdoor garden. For a taco fix, is the spot for a al pastor tacos with spit-broiled pork and charred pineapple. For cold brews, has plenty of American craft and Belgian beers. Dinner in Miami. Photo courtesy of Alter. Throwback beach town vibes. Photo courtesy of Colony Hotel and Cabana Club. Dinner in Delray Beach. Photo courtesy of DADA. 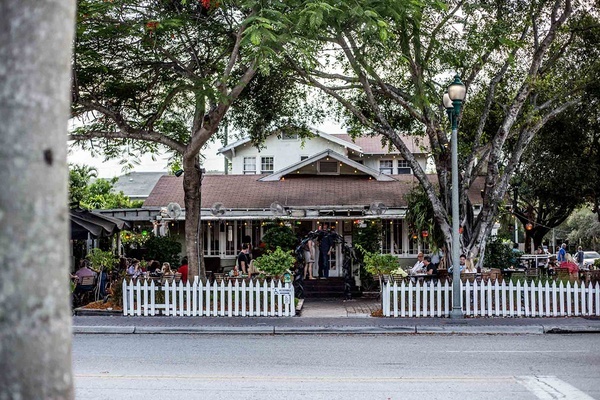 Or get of town: Retire from the scene in South Beach and head to Delray Beach. Check into and kick back on the private patch of sand included in your stay. Pamper your pained feet (never again with six-inch heels) at , then detox with one of 100 teas from , a globally-stocked local gem and the only cafe in the country that brews with certified-pure GoodWater (the same quality agua the president drinks). With fresh feet, mount a paddle board from . 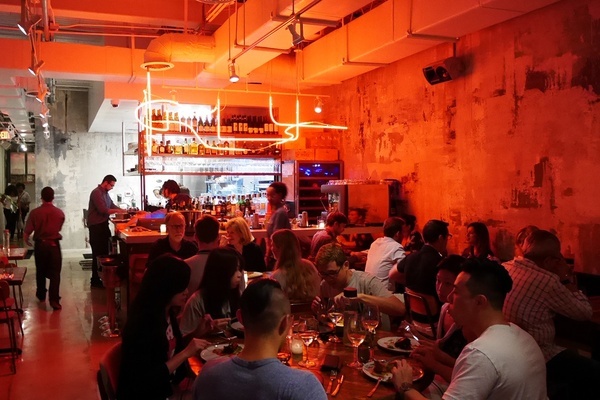 Close out with cocktails and funky American fare from . Live large: Rent bikes from and play The Price Is Right with the grand homes that line the gilded shoreline. Board for luxurious views of the Gulf Coast (and the occasional dolphins) then hit the high-end stores at . Grab a patio table at for something you haven't had in a while (spicy tabrizi apricot chicken?) or a bar seat at for that could-be-in-Brooklyn vibe. 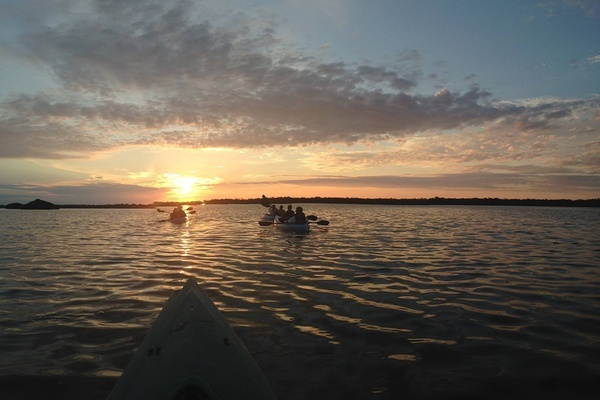 Or convene with nature: Spend the weekend in wildlife paradise on Sanibel and Captiva Islands. Cruise, canoe, or kayak the with and call out animals — manatees, armadillos, alligators, and birds of every color and breed. Stock a picnic from , rent bikes from , and cycle towards to comb through the bounty of rare seashells that line the coast. Grab a beer at and gaze over the ocean before calling it a night at . Kayaking in J.N. Ding Darling National Wildlife Refuge. Photo courtesy of Tarpon Bay Explorers. 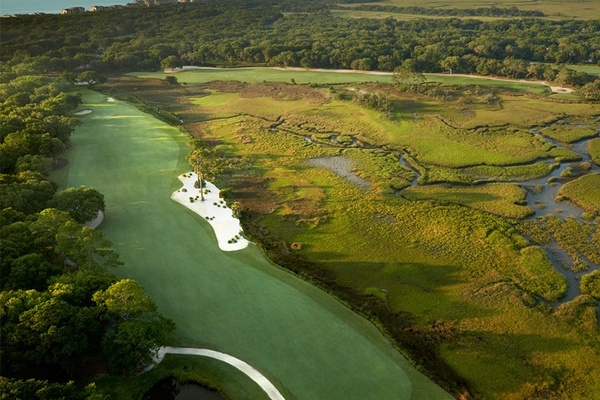 An aerial view of Oak Marsh Golf Course. Photo courtesy of Omni Hotels. Tee up: Grab your golf buddy and daytrip to Amelia Island. The barrier isle has lush landscapes, sunset views over the intercoastal, and top-notch greens, including: , , and . Compare scorecards from the rocking chairs at , then boast about the best swing over liquor and live jazz at . 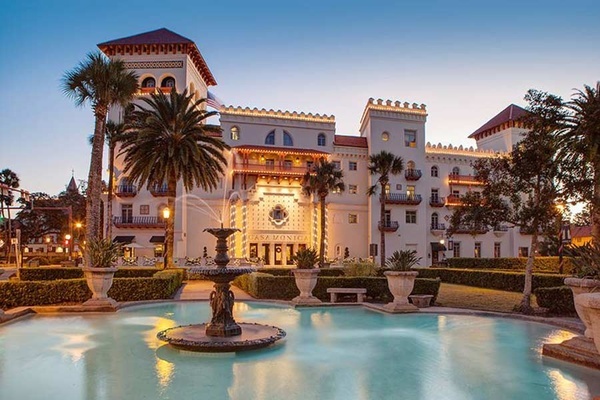 Or, for an international feel: Weekend in St. Augustine, the oldest continuously inhabited European settlement in the United States. 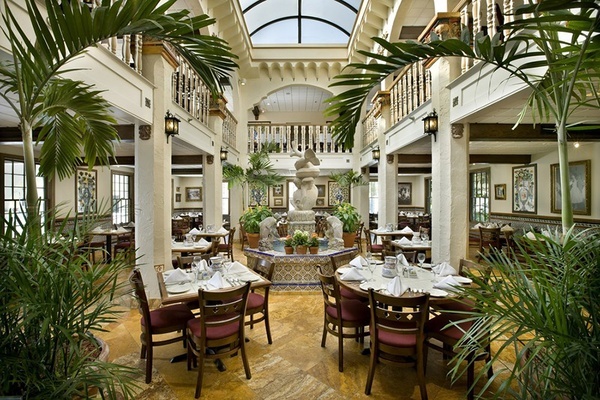 For the old-world experience, stroll the recreated starting with , then settle into the historic for lunch. 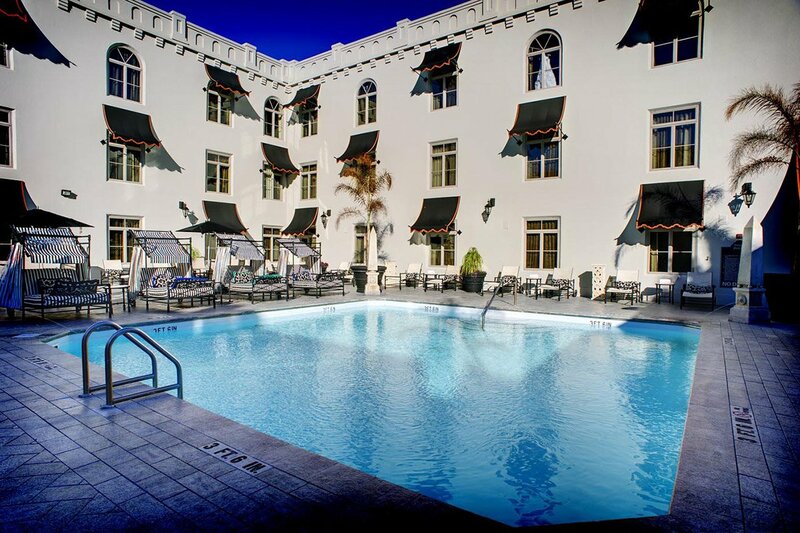 Stay the night at and live like a Moorish monarch. Wake up and dedicate your Sunday to the sand. Grand interiors. Photo courtesy of Columbia Restaurant. An old Spanish hotel experience. Photo courtesy of Casa Monica.